Hi not sure if I am going about this right, but surely we have the right to wait for something to come in the post before we need to appeal? Because what if someone else was driving my car, or the ticket attached to the windscreen just was not there when the driver returned to the car? 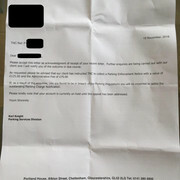 Arval has written to the parking company and asked them to transfer liability of the fine to your address. It depends on the authority on how quickly they reissue the fine. 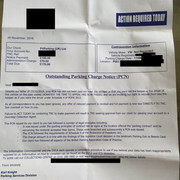 Once you have received the fine in the post you can either pay or dispute it directly with the parking company. £15 is likely entirely unchallenageble. Reference is the bank admin charges. Its when it gets up to £30+ that you can point out this charge is clealry not purely to cover expended costs but incluides profit, as it does not cost £30 to spend 5 minutessending a standard letter. Ok so conclusion is leaseholders are still coerced to abide by the private company parking rules in order to save the admin charge, regardless of ongoing/recurring issues between the two parties. And also the point that they cannot discern between an invoice and a penalty is also defunct more because they do not need to do this as opposed to shouldn't. In principle it means I could do the same thing and send 1000 bogus invoices after establishing the 'reasonable cause' to gain details from the DVLA, netting the lease company £1250. Unless of course there is a way to make a case against them, that they are not identifying a parking fine/penalty vs. an invoice. I did not sign the contract under the knowledge that I will be paying admin charges on invoices being forwarded, only fines? That's why I said get out your contract and look at what it actually says about these charges and when you have to pay them. Many forget to include private parking invoices in their terms and are forced to refund as they haven't followed their own rules. Yep and I am grateful for that. Is there any template I should go by when contacting them? In respect of any responsibility, claims, liabilities, losses, damages or expenses, including legal fees, and any liability resulting from legislation for the payment of fines or penalties for parking, driving or similar offences or contraventions in connection with the Vehicles (the “Liability”): (a) Arval has no responsibility for the Liability; (b) the Hirer accepts all responsibility for the Liability including taking all appropriate action; and © the Hirer indemnifies ARVAL and holds ARVAL harmless against the Liability. Arval shall be entitled to charge the Hirer a reasonable administration fee for any work carried out or documentation processed relating to the Liability. As we knew already, the above only covers 'fines & penalties, offences and contraventions' and a private parking charge is no such thing (quote the opposite, or the PPC would not be able to issue it!). A private one is based on alleged breach of contract with the driver and represents a charge as a deterrent, not a fine/penalty or offence. ...when you get the NTH in the post, instead use the lease/hire appeal, lower down the first post on MSE, the one written by Edna Basher (Dennis Basher on here). Ah brilliant. Good to know. Sending the appeal recorded today, which is day 21. Don't send it recorded, send it 1st class, but take it to a post office and ask for a free certificate of posting. Then keep that very safe. To P4Parking, not to TNC I hope (the PCN you showed us tells you where to appeal to - not TNC - and you are close to the time limit). So was it out of time? Also, you note that are claiming to have followed POFA yet have clearly not done so, and their statemernt is misleading. You require a full accounting of how they claim to have complied, taking into account your psecific proof otherwise. You await their explanation with baited breath. Haha thank you, indeed I do! But I think it is more simple than that, and they simply could not stop their poorly constructed automated system and delegates in sending out the eagerly anticipated 'Outstanding PCN charge' letter. I'll take the first upload as proof enough I appealed on time, just feels like some timewasting as per within their cleverly worded 'further enquiries', 'If as a result' etc. These people really are vultures. Its more - they have made a faslse and misleading statement, which is that you have liabilty. As you have proven to them that you do not, nad more importantly - they KNOW they havent complied, as POFA has been out long enough they really have no excuse not to know otherwise - theyre misleading you. Ok cool. I really want to make a case against my lease company now for allowing false invoices to get to me in the first place (and then charging me for it, or at least causing me to appeal both the invoice and their admin charge, wasting time), using all of the material in this thread and others.  Is there any starting point for letters to lease companies? I will also add a variation to the estate management company as they are twisting the 'right to park' entitlement to suit themselves. Theyre not "false" invoices; theyre just invoices that fail to meet the conditions of POFA to hold a hirer liable, because they fail to include the mandatory ebclosures. You have no claim against thm for passing these invoices along - IF they didnt, they would potentially have liability. When it comes to charging you, you look at your T and C and see if private invoices, not issued by any "authority", are included - usually not. If not, then you complain, if they dont cancel the charge (as they have no authority)_ you do a chargeback. Ok thanks so in the T&Cs private invoices are not included.. but their stance is that they will only occasionally goodwill a refund of the admin charge, i.e. they don't want to admit the above. Should I try and structure a letter in which they are forced to admit that I have a genuine right to not get charged once proven the private invoice fails to meet POFA conditions? Meeting POFA or otherwise has NOTHING to do with whether or not they can charge you for passing your details along. So you make a WRITTEN COMPLAINT about the admin fee because it is being charged without any allowance in the terms and conditions of your contract with them.